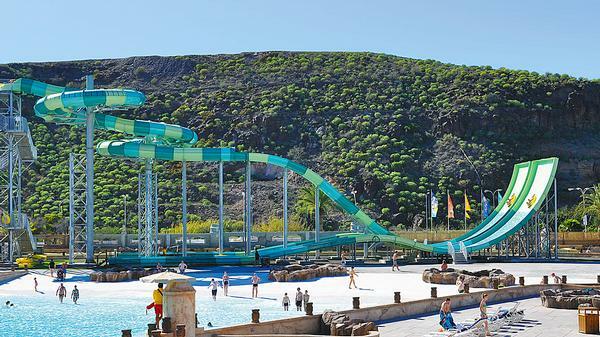 Polin has installed its Racer Twin ­Turbolance at Aqualand ­Maspalomas, part of the Aspro Group chain. It’s the first of its kind in Spain, and one of the biggest ­waterslides in Europe, according to the Turkish manufacturer. The ride features two circular racing tube slides. Polin uses its ­Natural Light Effects technology on the ­attraction – as water sluices through the ride, it interacts with sunlight that shines through translucent stripes at the top of the slide’s tunnels. These natural effects take different forms as the sunlight changes throughout the day. The half-closed/half-open ­waterslide is manufactured with resin transfer moulding technology, offering a smooth, shiny finish on both sides. Nature-themed Senbo Green Park Resort in China made Forrec responsible for master planning and concept design down to detail design. 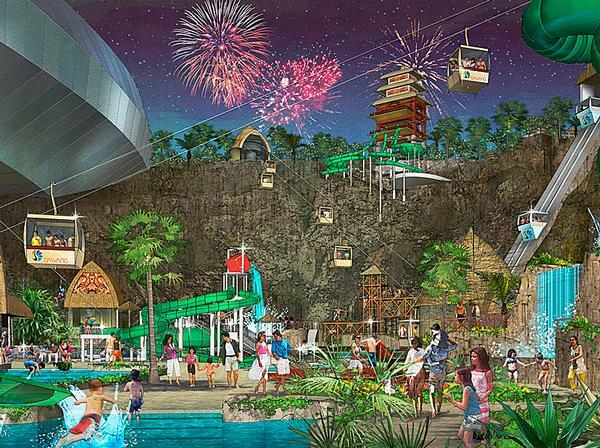 The theme is based on a magical story of ancient tribes.The Canadian company is also responsible for concept and ­schematic design for Dawang Deep Pit Water World, China, an indoor water park in a recreational development that includes an Ice and Snow World. 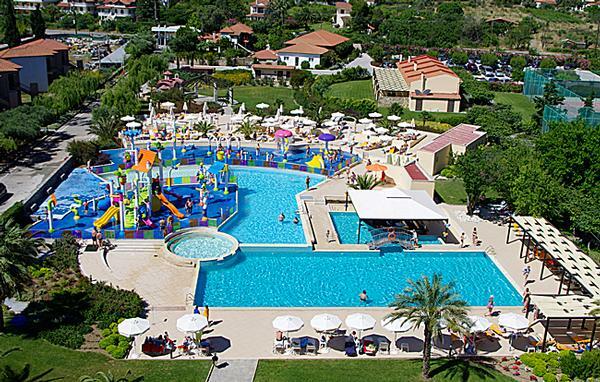 Empex Watertoys has supplied water park equipment at the newly ­refurbished and redesigned ­Cronwell Platamon Resort in Platamonas, Greece. Empex has created a ­dynamic and colourful spray park for ­children up to the age of 12. It ­features an interactive play structure with water sprays and slides. Empex supplied water features from its ­different ­design lines. These included ­Aquatons, Aquatoys and Aquanetics. Whitewater West themed a new $4.5m (£2.6m, €3.3m) play structure at the Zoombezi Bay waterpark. 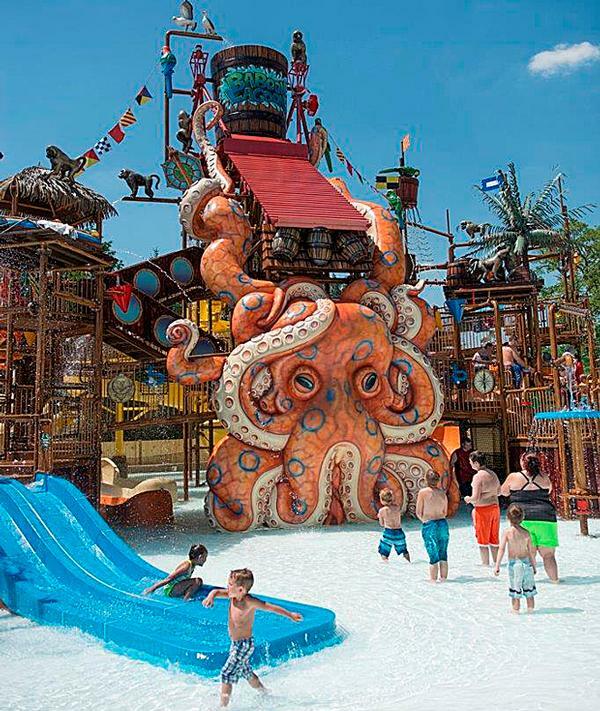 The AquaPlay RainFortress at the park in Ohio, US, features baboons and a sprawling octopus created by Whitewater West. The play structure, called Baboon Lagoon, opened in May, and has more than 90 interactive water elements and nine watersides.